Join us at our recognition night on April 29th! It’s a celebration to honour those who have worked all year to complete basic level of dancing! The group to be recognized has danced from Sept. 2018 – April 2019. Spring Spree – A dance not to be missed!!! Afternoon and evening sessions, starting 2pm. Crestwood Secondary School, 1885 Sherbrook St. West. Peterborough. Four halls – basic, mainstream, plus and advanced. Four Callers: Paul Adams, Dave Eno, Dave Hutchinson and Don Moger. 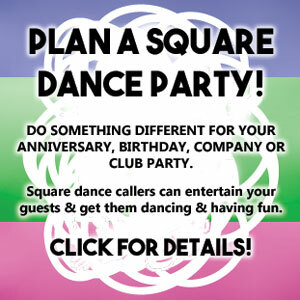 Spring is just around the corner and next thing you know it will be summer, but that doesn’t mean dancing stops! Check out our Dances page for details on the April Fool’s Night and some Summer Dances in June! Join us for an afternoon of fun Mainstream dancing! Please, no scents or perfumes. 10:00 am – 2:30 p.m.